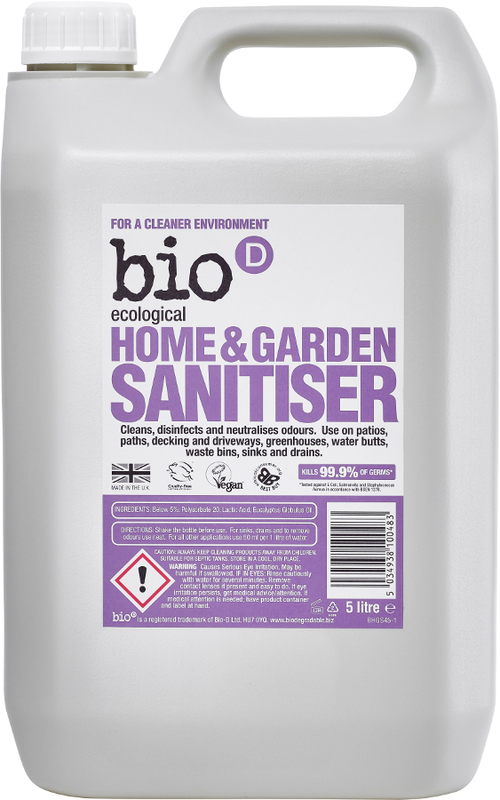 Bio D Concentrated Disinfectant is a pleasant smelling natural disinfectant that's great for hard surfaces, sinks and sanitising drains. Take the environmentally friendly route to a hygienic and germ-free home. Bio D Concentrated Disinfectant is based on eucalyptus oil, which has mild but effective properties - which are enhanced by the addition of an emulsifying surfactant derived from coconut oil. 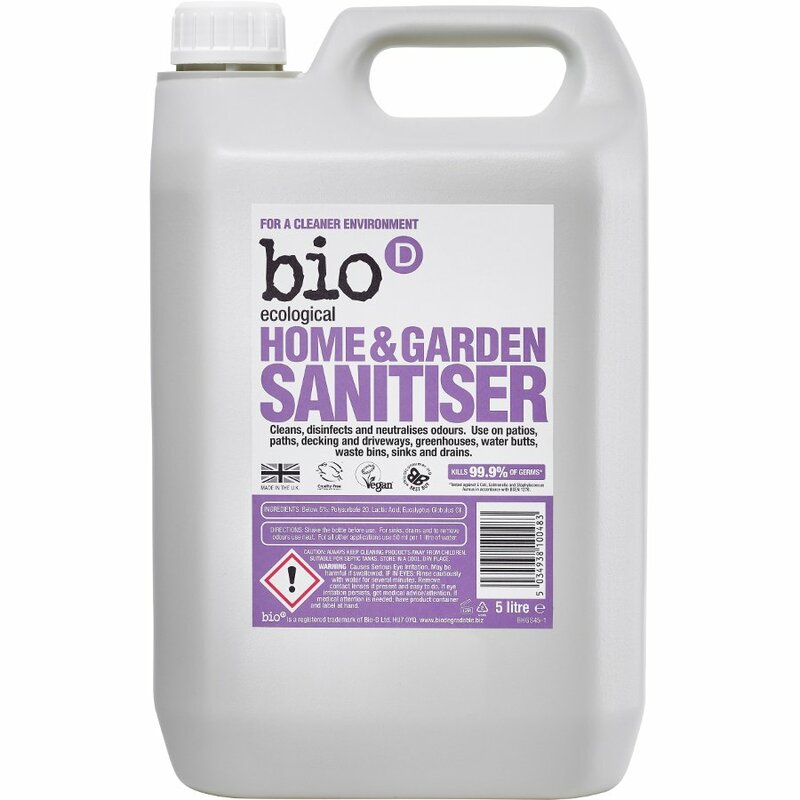 The Bio D Home and Garden Sanitiser - 5L product ethics are indicated below. To learn more about these product ethics and to see related products, follow the links below. Now buy the 5L size and decant into smaller bottles.. Use all the time. My favourite BioD product. Have used it for years as my main general cleaner - great for septic tank. Spray it on tide lines on a well used bath, leave overnight and just needs a gentle wipe - sparkling! Lovely fragrance too. I love this stuff, smells great and does the job! A: According to Bio D "All our products are suitable for use with Septic Tanks but we urge caution with the Disinfectant; not to pour directly into Cess Pits and Septic Tanks."